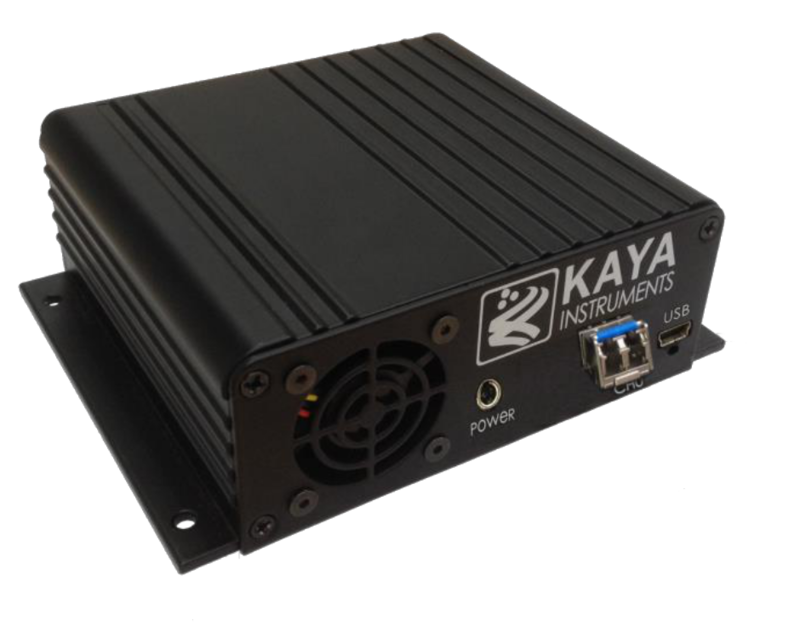 KAYA Instruments Camera Link Range Extender over Fiber resolves distance limitation of Camera Link interface by connecting camera to frame grabber over single fiber cable. This solution provides a high resolution stream interface for distances up to 10km in single-mode and up to 300m in multi-mode. The adapter is capable of supplying power to camera over PoCL. The system is constructed of two converters, one on the camera side and one on the Camera link Frame Grabber side. The system uses flexible SFP+ modules for optical connection that can be easily changed. The range extender is able to provide a bidirectional communication at up to 10.3125Gbps equal to CL Full (Decca) over single fiber cable.